Created a custom snapchat filter used in our selfie. As a city of just 60 employees, we had a large majority participate and got it all with one selfie stick! Beaumont Hess (best friend & sidekick to Mayor Hess) posing for in front of Naugatuck Town Hall. Thanks to Bang the Table for supporting #CityHallSelfie Day. August 15 to 17: Our superdelegates (i.e: our award-winning members) submit up to five nominations. August 18: The ten finalists are announced. 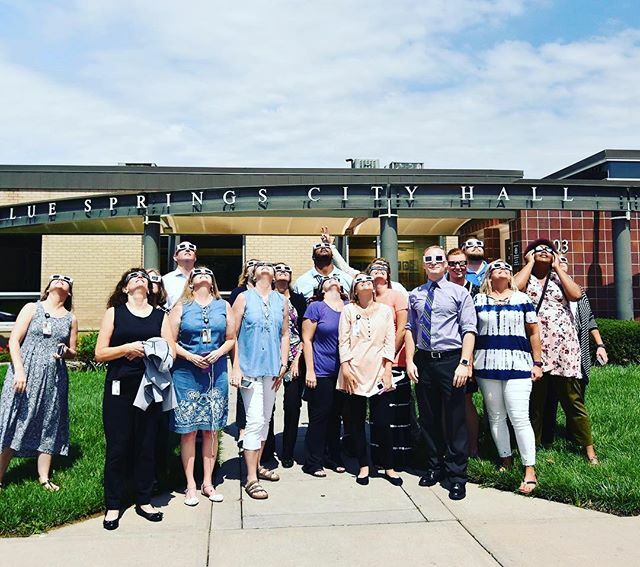 August 21 to 23: Our superdelegates (i.e: our award-winning members) will cast a vote for their favorite #CityHallSelfie from August 21 to 23. One vote per member. August 24: Winner of the Members Choice Award for #CityHallSelfie Excellence announced. If you join ELGL by August 15, you become a superdelegate and eligible to vote. Membership is $15 for students, $30 for individuals, and $300 for organizations. Join today to receive your free #CityHallSelfie sticker. Check out our 2016 award winners!